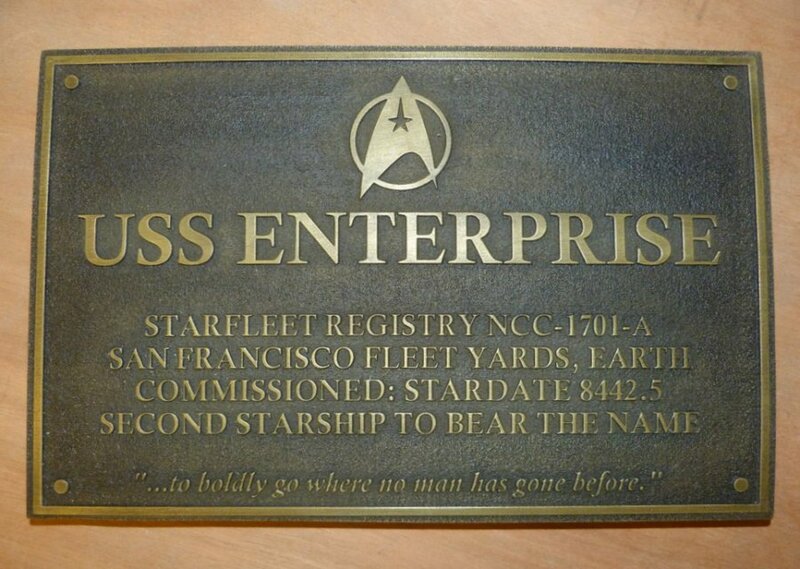 Every ship in Starfleet has it’s own dedication plaque, so that when you step onto any ship’s bridge, you can get a basic run-down of its history: The registry name, where it was built, when it was commissioned etc. It is a long standing Starfleet tradition. And now you can own your own replica of the USS Enterprise’s dedication plaque. This plaque is made of resin, but with bronze power used in the casting for an authentic look. I would put this in the entryway to my home so it can feel more like a starship, which I’m the Captain of. At least until my wife gets home. Then I’m just a lowly Ensign.